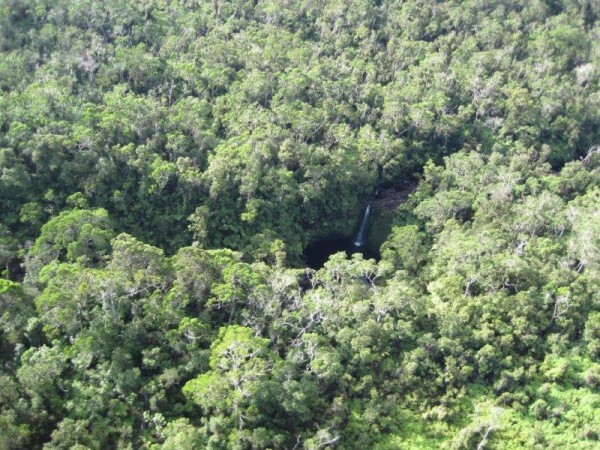 It’s not everyday that large tracts of Big Island land become available. It’s even rarer when the land for sale contains a Koa cloud forest. Add in the fact that the Koa forest includes more than 3,127 acres of old-growth virgin Koa timber and the property becomes a once-in-a-lifetime opportunity. Ohana Sanctuary encompasses more than 3,127 acres of pristine Big Island land. Such is the case with my recent listing Ohana Sanctuary, one of the few privately owned Koa forests in Hawaii. An extremely rare property, it is the third largest privately-owned stand of virgin Koa on the planet! This virgin Koa timber forest is the third largest in the world. Covering nearly five square miles of Big Island land and encompassing more than 3,127 acres on the slopes of Mauna Kea, Ohana Sanctuary features more than 50,000 trees, including Koa (Acacia Grey), Ohia, Mamane, Hapu’u, and more. A primordial paradise, cascading waterfalls dot the landscape, including Sanctuary Falls and Haiku Falls, both named by the current owner. The Koa forest includes many other unnamed waterfalls, each beautiful and mesmerizing, that flow to the Pacific Ocean below. View an aerial tour of the property. Because this remarkable Koa forest property includes 16.5 million board feet of Koa wood, there are a variety of options available to potential buyers. The Koa wood alone has an estimated initial harvest of 6.5 million board feet and a sustainable yield rate of 6 percent to 8 percent per annum. With its stunning grains and deep rich colors, Koa is one of the most prized hardwoods in the world. In Hawaiian, Koa means brave, bold, and fearless. Found only in Hawaii, the acclaimed hardwood has been revered by royalty, cherished by musicians, and prized by master craftsman for centuries. There is high demand for this revered wood and for many years, demand has outweighed supply. Offered at $22 million (as is/where is), Ohana Sanctuary is an exceptional Koa forest property for the discerning investor. For more information about this once-in-a-lifetime opportunity visit www.beverlymolfino.net, call me at (808) 937-7246, or email me at Beverly@beverlymolfino.net.